I want to be your real estate matchmaker! It's all about finding the right buyers and sellers. Bought a Single Family home in 2017 for approximately $225K in Hills and Dales, San Antonio, TX. 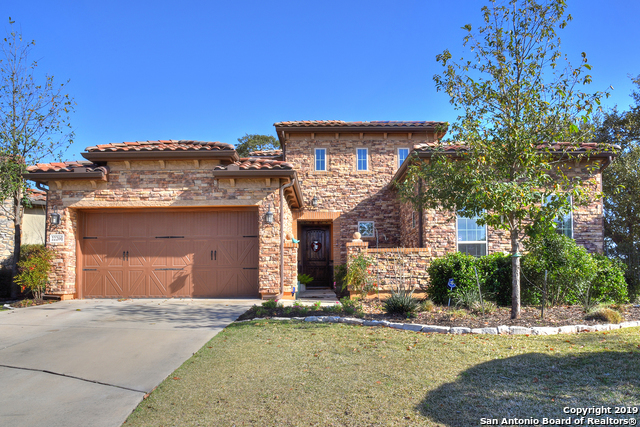 Bought and sold a home in 2018 in Stone Oak, San Antonio, TX 78258. Very knowledgeable and great to work with. Melissa knew we were first time home buyers and she really took her time to make sure we were comfortable. Definitely recommend working with Melissa. Melissa Pressentin is a Realtor at Coldwell Banker, D'Ann Harper Realtors in San Antonio. She brings a variety of professional and personal experiences with her. Melissa grew up in Southern Wisconsin, where she enjoyed swimming, fishing, and watching her beloved Green Bay Packers. She attended the University of Wisconsin-Madison and studied Life Sciences and Communications. Before graduating, she met her now husband, Ben. They decided to head to South Florida to enjoy the beach life. Careers in banking and real estate began. Melissa enjoyed much success for years as a residential mortgage banker, later transitioning into commercial underwriting and lending. After the birth of their son, Weston, she was delighted to become a full time mother. Emma Rose joined the family two years later, just as Ben’s banking career advanced and moved the family several times throughout Florida, then the big move to Houston, and finally to San Antonio. Moving so often did give Melissa new hobbies such as house hunting and interior design. She finally obtained her real estate license while in Houston, and found their home here in San Antonio. The Pressentins are happy to put down roots in this great city. Melissa loves the people, cultures, and opportunities that are ahead for her and her family as she expands her career with Coldwell Banker D'Ann Harper Realtors. Melissa believes that presentation is key! With an incredible eye for home design and staging, she offers this service for free to all clients. It's not about the money, though that is nice to have! At the end of the day, great realtors understand that it's about matching the right buyer to the right seller. Melissa Pressentin can be your real estate match-maker! I have moved twelve times in fifteen years....so I understand the excitement and potential stresses involved. Being a busy wife, mother, and sales agent has taught me about the importance of balance and patience. Even before my real estate career began, decorating new homes and staging homes to sell or lease has always been fun for me! My prior career in residential mortgage lending has given me a great understanding of the entire home buying process. I had the privilege of Chairing the 2017 American Heart Association Heart Ball with my husband. I'm from Wisconsin, so the Green Bay Packers will always be my favorite team. Go Pack Go!